High-rise or particularly tall buildings can cause strong acceleration of the wind within the urban environment. Consequently, hindering the comfort and safety of pedestrians in public spaces, but also of owners and tenants in private outdoor spaces, such as balconies and (roof) terraces. This in turn affects the usability, value and safety of the building and its surroundings. Wind comfort assessments are becoming a standard part of a good risk analysis to ensure a profitable project and, often, the local governments demand an assessment as part of the building permit application (e.g. NEN8100 in the Netherlands, …. In London, .. etc.). 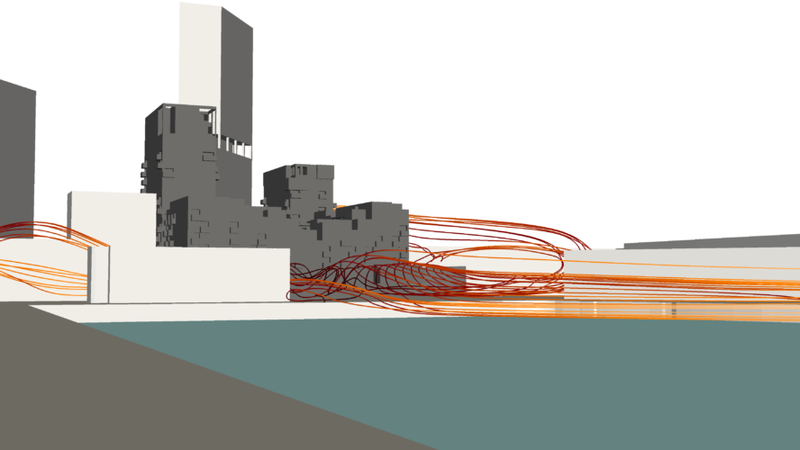 At Actiflow, we visualize the wind behaviour in a specific urban environment. Our expertise is based on hundreds of projects in which we support architects, project developers, engineering firms and landscape designers in different phases of the project. 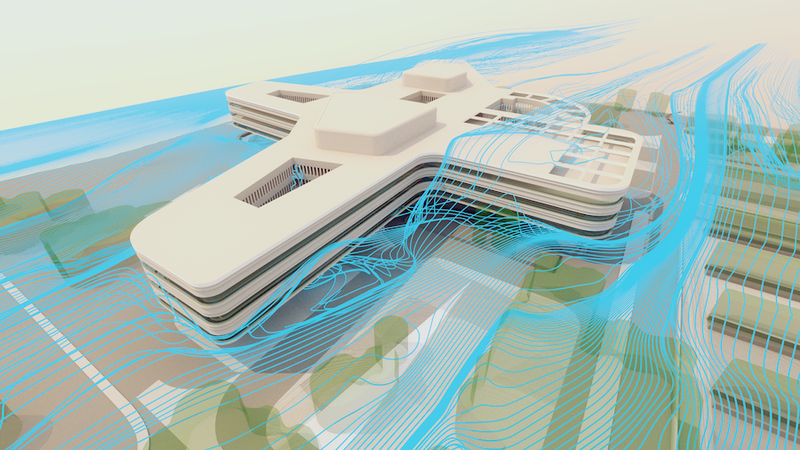 We help them to design comfortable public and private spaces with simple integrated solutions; or, on the other hand, to exploit the wind resource for natural ventilation and building-integrated wind turbines. 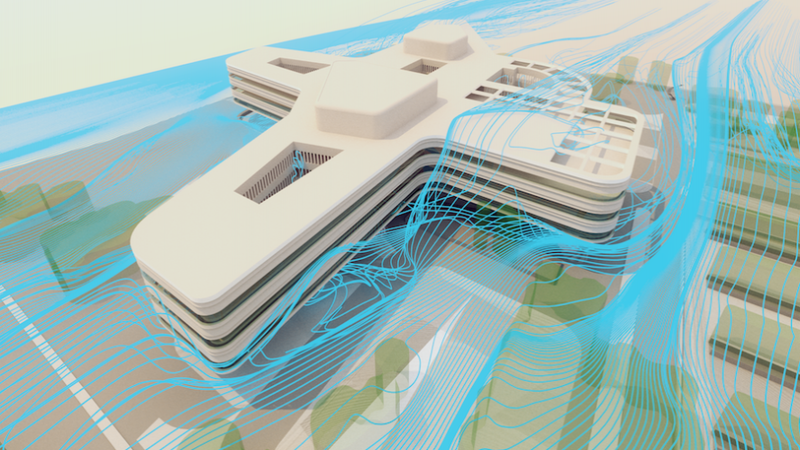 Quick scan: During a half-day session, we advise architects on how to distribute and orientate the different building volumes to avoid wind hindrance and wind safety problems in a very early design stage. Our recommendations will be based on the experience of our experts and if possible, on simplified simulations performed during the session. We present our results during a meeting at the customer. 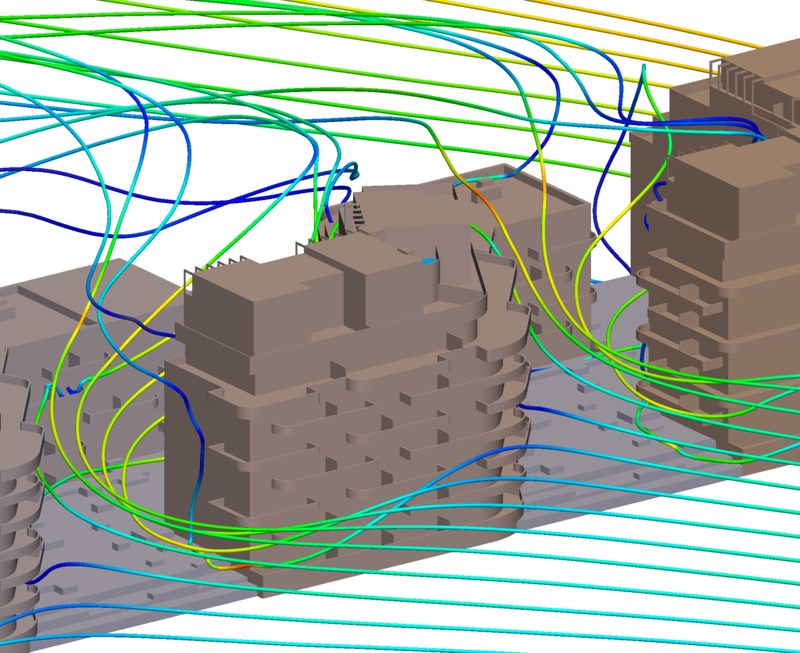 Extensive CFD study: In a final design stage, we perform an elaborate wind study as final validation and to show compliance with the local regulations. If no basic study is performed in an earlier stage, we can still recommend and assess measures to improve the wind conditions. 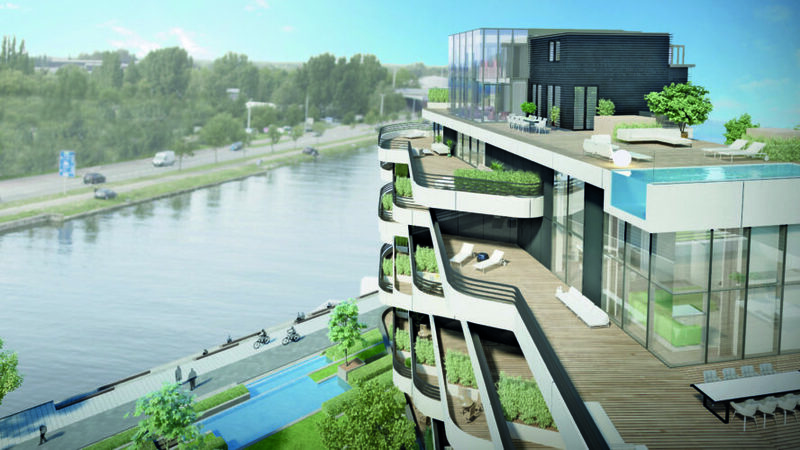 However these measures will be limited to the addition of wind screens, balustrades, trees or other landscape elements, as the building design is already fixed in this stage. The final deliverable is a report according to the local guidelines and norms. This report can be used to show compliance with the building regulations.